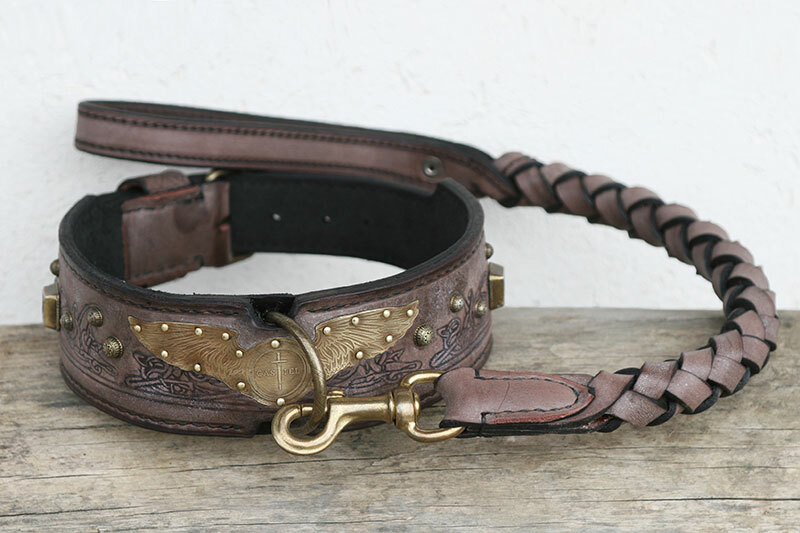 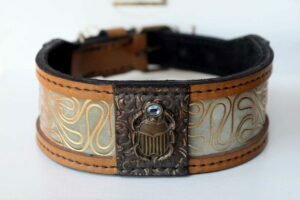 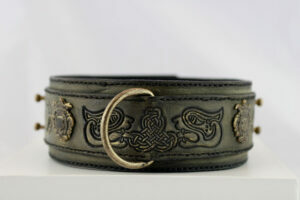 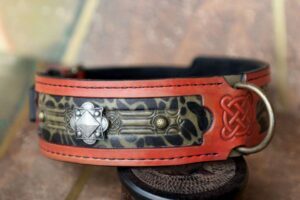 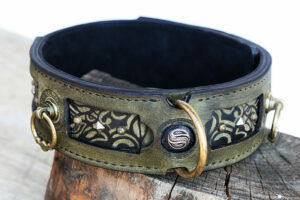 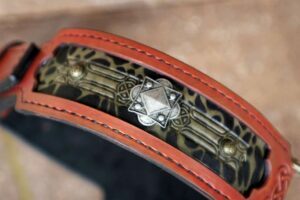 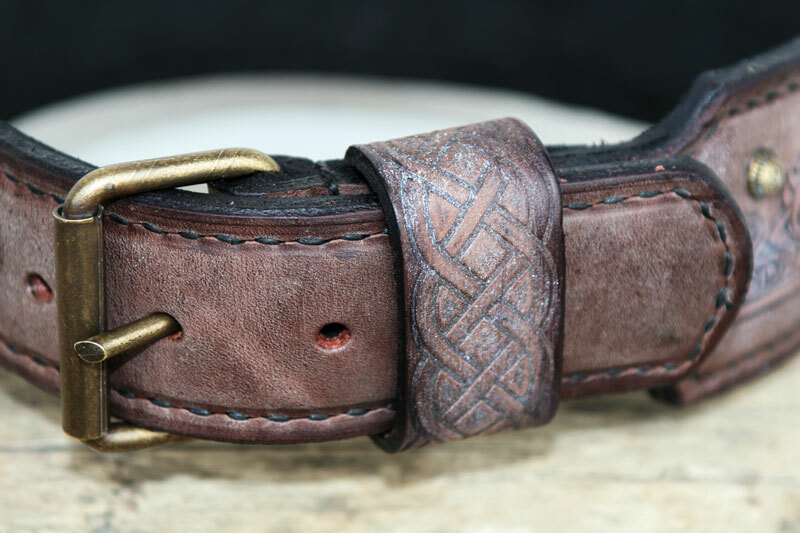 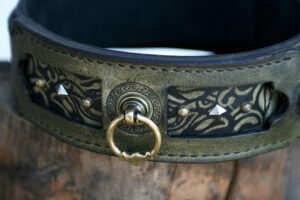 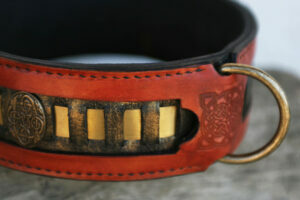 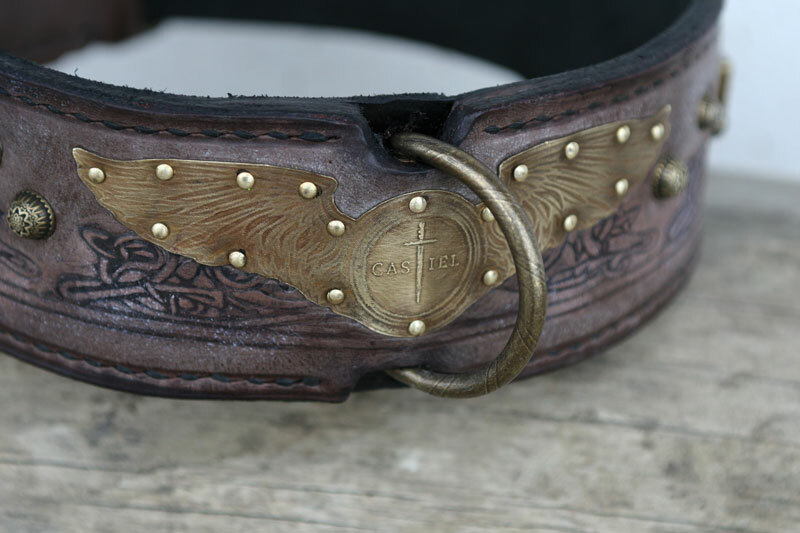 This custom made dog collar is especially designed for the gorgeous Alapaha Blue Blood Bull dog named CASTIEL. 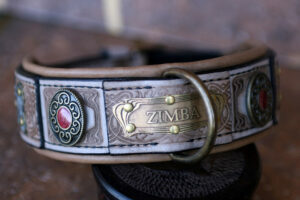 The originally designed brass plate with the inscribed name of the dog represents a stylized symbolic of the dog’s name. 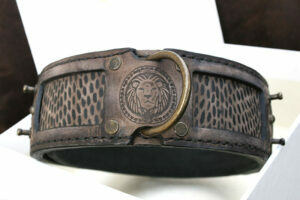 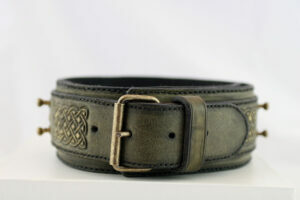 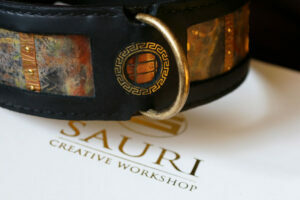 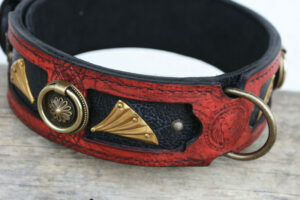 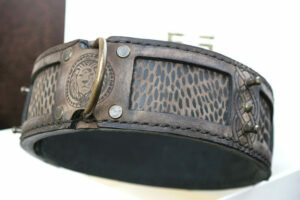 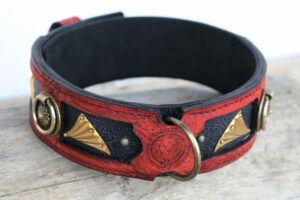 If you want a special custom made collar for your dog, contact us today. 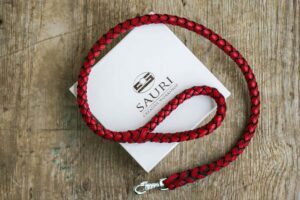 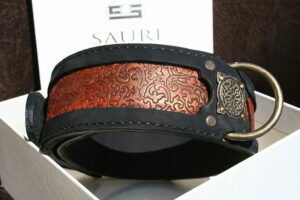 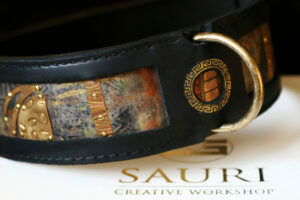 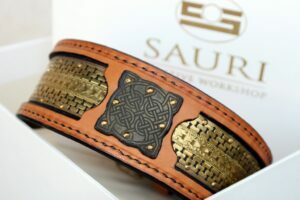 SKU: UC020 Category: Leather Dog Collars Tags: Bulldog collars, Custom made, Dog walking, Embossed leather, Limited edition, Medium sized dogs, Ornamented, Personalized dog collars, Uniquely designed Brand: Workshop Sauri | Leather dog collars. 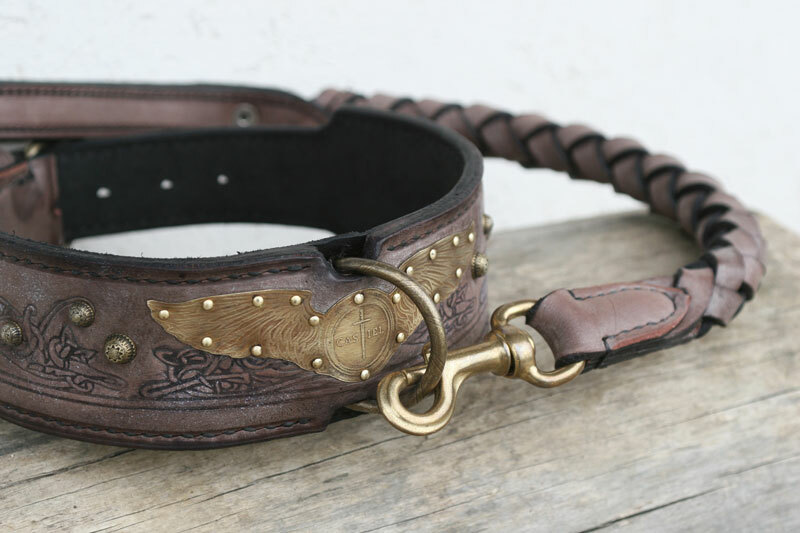 Unique handcrafted personalized dog collar made of purplish brown harness leather with a wing shaped brass plate, geometrical embossings and elegant decorative rivets. 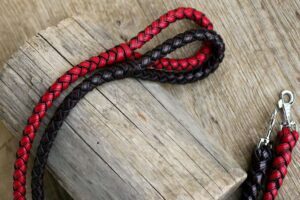 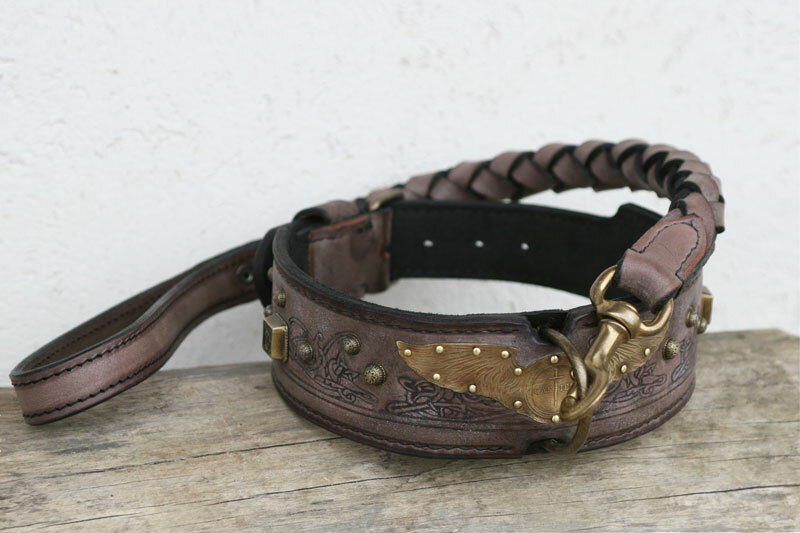 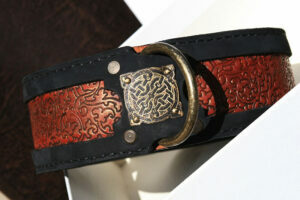 The matching leather dog leash is 65 cm long (25.5 in), double plaited for long time service.